1909: Jeanette Dow taught school for one year in 1909 according to Kenneth Baxter Ragsdale in his book "Quicksilver" (see page 46. 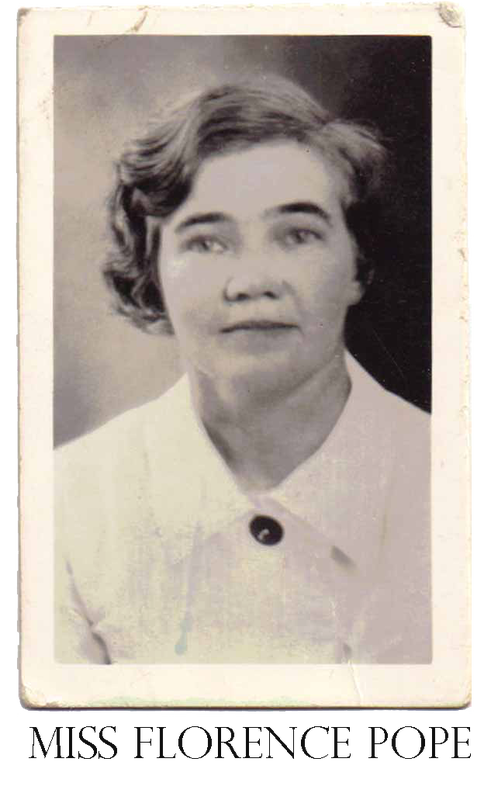 1916-1929: Celestina Peña was a Rio Gande Border teacher from about 1916 till 1929. She taught in many ranch schools along the Rio Grande e.g. Light of the Desert School on the Madrid Ranch near Redford; and in many other Rio Grande and Presidio County rural ranch schools such as Candelaria, El Polvo, Ruidosa, Shafter, Terlingua, Ochoa Ranch, and others. Click here to read an account of Celestina Rodríguez Peña by Juan-Paz Peña. Added June 26, 2010 for the PCDL Reunion - Click here to read the documented version of this story. Click here to go to the Celestina Peña page. 1925-1926: Miss Babb (Annie Lee Babb) taught at the Molinar School in 1925 and in Terlingua in 1926. [Editor's note: We do not have a photo of Annie Babb. If anyone has one please send it to us. My mother, Zenaida Franco really liked Annie Babb. She used to talk to me about her in the late 1940's and into the 1950's. A few years back when I was researching her, I asked Bob Wirt for his input. On September 1, 2015 I am adding Bob's reply to me since I think it helps us learn more]. 1. I have heard that Annie was the daughter of a local rancher and was educated at Sul Ross. 2. Annie's brother Raul drove truck for the Terlingua Trucking Company, which served Chisos and Castolon (this I'm pretty sure of). 4. When Howard Perry fired his general manager Robert Cartledge (for reasons most thought were completely unfounded), Perry offered the job to Ed Babb. To his great credit, Babb refused the offer. (I believe this is in Quicksilver). There are lots of interesting side stories here, but I just don't have time to follow up on them." 1930's Miss Florence Pope was a teacher at the Perry School in the 1930's. Around 1936 she was the fourth grade teacher for Celestina Valenzuela Amatulli who later (1958-1962) was the Terlingua school teacher (see below). ca.1955-1979: Lucia (Lucy) Madrid Rede Franco taught at Redford. Kenneth Baxter Ragsdale has an excellent account of her story in in chapter 3 of his book Big Bend Country. We recommend you read it. After she retired from teaching she started a library in Redford that gained her national recognition. In 1990 she was called to the White House where she was one of 19 people selected from across the country to receive the the 1990 President's Volunteer Action Award at the Silver Level. In a surprise, after the president presented the awards, he then awarded Lucy the Ronald Reagan Award for Volunteer Excellence. This special award was created to honor the individual whose contribution to voluntarism is greatest among the winners of the President's Volunteer Action Awards. 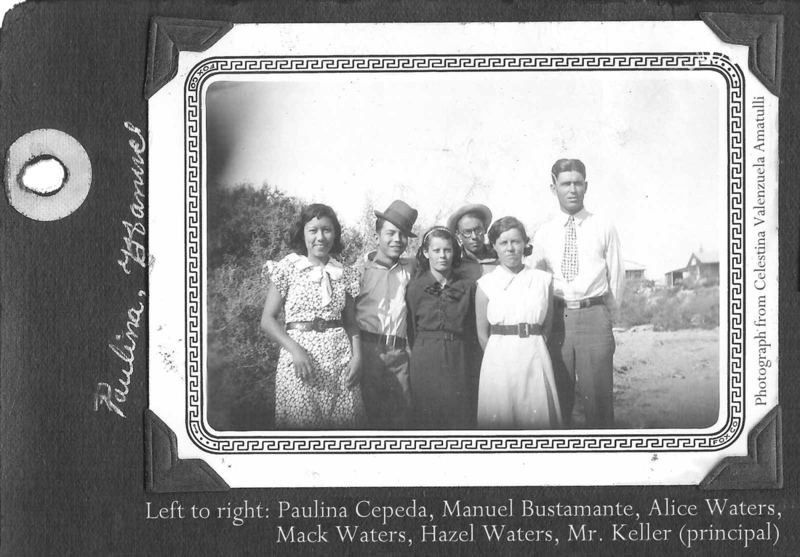 1958-1962: Celestina Amatulli nee Valenzuela taught school in Terlingua during the 1958-1959 school year. The school was one mile West of Study Butte and one mile south of the post office. At lunch time she would take the kids down to the creek water where they would eat their lunches under the bridge. Then they would wade in the water before hiking back to the school. The next three years she taught school in Presidio, Texas. Then she taught for ten years in Fort Stockton, Texas. 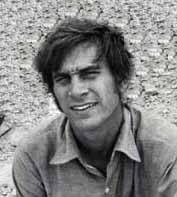 1973-1975: Trent Jones has documented his experiences teaching in the last single-room school house in Texas in his book "Terlingua Teacher: The Remarkable Lessons Taught and Learned in a one-room Texas Schoolhouse" has is in our "Libros de Terlingua" books section. There was a reunion of his students in 2004. This page was last updated September 1, 2015.